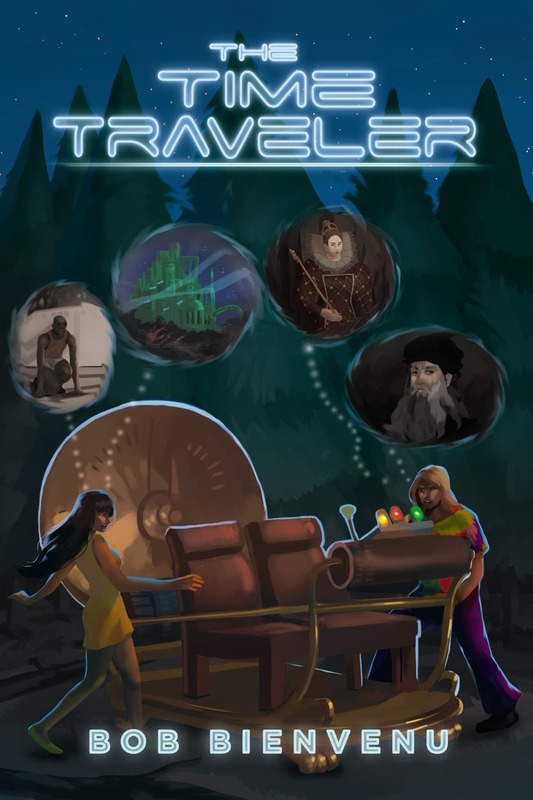 This book, the Time Traveler is about the life of Gerard Bourque who through the untimely death of his dad, Physicist Robert Bourque. Gerard acquires his dad’s TIME MACHINE that will take him through wormholes to meet the most interesting places on earth from the 16th century where he encounters Leonardo DaVinci and Queen Elizabeth of England. To meet George Washington and the great Jessie Owens, all on a quest to save the earth from total destruction in 2015. This book is a compelling saga of Gerard and his girlfriend Susan DeMahy’s travel and meetings with ALIEN friends and visits to the Mythological continent of Atlantis. Where all though their travels they encounter many adventures like riding whales and dinosaurs while also coming back to their time in the late 60s where SOCIAL ROCK REVOLUTION of rock music and dress and a make love not war is the slogan of the counter culture that Gerard and Susan are part of in Layville, Louisiana. This book contains LOVE, ADVENTURE, INTRIGUE, COMEDY, DANGER, HISTORY, ROMANCE, and the belief of a HIGHER POWER THAT IS WATCHING AND GUIDING OUR STEPS. This is the first of a TRILOGY of 3 books of the TIME TRAVELES, Gerard Bourque’s life and his QUEST together with his ALIEN friends to PROTECT THE GALAXY and the UNIVERSE and through GOD’S HELP making the UNIVERSE A SAFE AND LOVING PLACE TO LIVE IN.